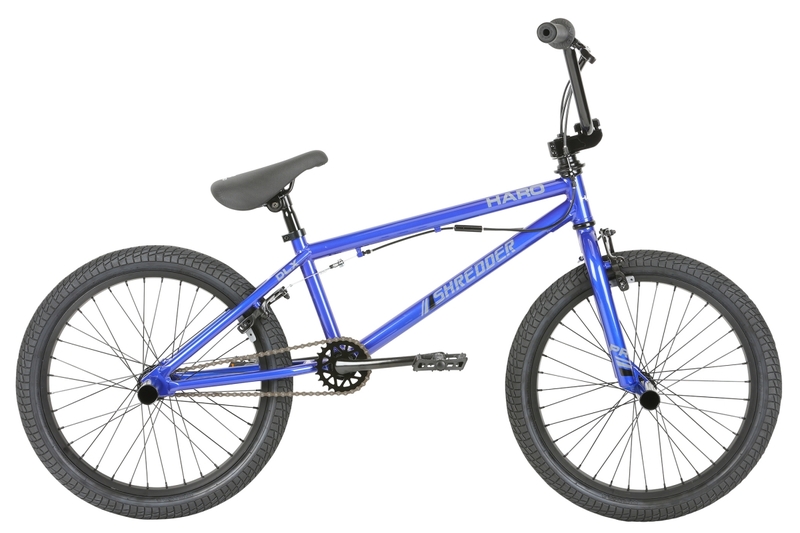 The Haro Shredder Pro DLX 20" bike is a great bike for the early beginner riderthat's just starting out! Comes with everything you need to start learning- 4 pegs, a gyro, and front brakes! This model features a 20.3" long top tube. PLEASE NOTE: We can ONLY ship Haro complete bikes to USA addresses. FREE SHIPPING TO CONTINENTAL USA ADDRESS ONLY. Canada, Alaska, Hawaii, and Puerto Rico residents- PLEASE contact us for a shipping quote, as we will need your complete address in order to calculate correct UPS shipping!